I thought you might be interested in looking at Minnesota Wild vs Detroit Red Wings Saturday 1-12-19, 7:00pm, Xcel Energy Center. MNSOTA, we always want and enjoy for many years your and LIG's preview and a post-game very talented writing. Thank you for taking your time to write for us. Not so many fan clubs having that talent on their boards. Games like this are the one time when I miss the old "goon it up" days. 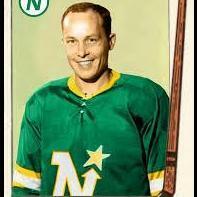 At least when the North Stars got waxed, Basil and Churla would give the fans some entertainment value for the dollar. Here's the preview if you want it: Hidden Content Give reaction or reply to this topic to see the hidden content.